Celebrating 100 years is always a monumental event, especially for car companies. In 2016, it’s BMW’s turn to blow 100 candles. Following the creation of Bayerische Flugzeug Werke (a Bavarian aeroplane engine factory) and a name change in 1916, Bayerische Motor Werke adopted its famous blue and white helical logo in 1922. A year later, BMW started building the R 32 motorcycle, which was equipped with a shaft-driven transmission and twin-cylinder boxer engine. 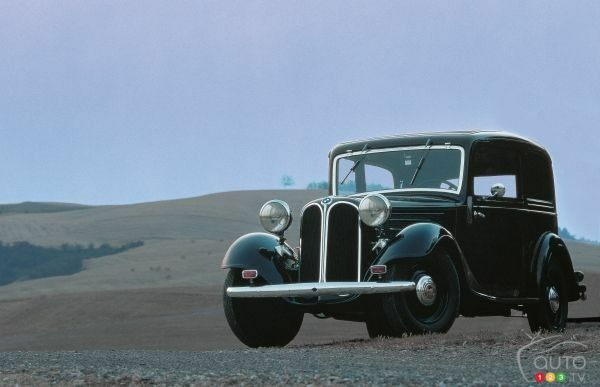 The first BMW automobile, launched in 1928, was called Dixi. In 1939, a BMW 328 won the 24 Hours of Le Mans endurance race in the 2.0L class and finished fifth overall. World War II resulted in BMW manufacturing a large number of fighter plane engines. Car production resumed in 1951. BMW later went on to enjoy plenty of success in racing, highlighted by a win at the 24 Hours of Spa (1965) and a strong debut in Formula 2 (1967). During the 1970s, the company began using three digits to designate models: The first one refers to the model’s class, the last two indicate the engine displacement (save for a few exceptions), and a letter at the end specifies the type of fuel or transmission. Increasing popularity among consumers led BMW to add utility vehicles, high-performance versions, and more recently electrified cars under the “i” sub-brand. 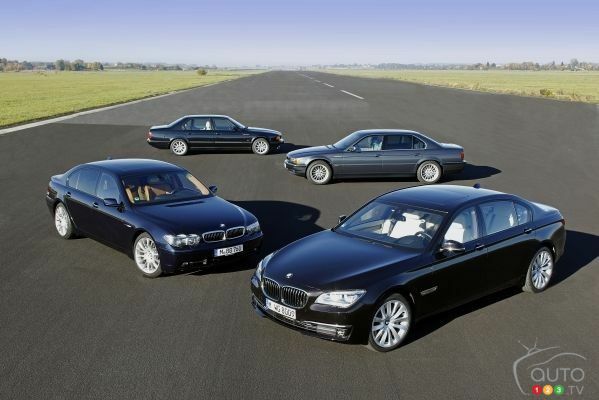 You can relive BMW’s 100-year history through a comprehensive infographic and a series of pictures showing classic BMW cars at carkeys.co.uk. Of course, don’t miss our own photo gallery! BMW Group Classic coordinates all the German automaker's activities and exhibits true automotive classics models in museums and at events across the globe. The Lady in Red: BMW has produced some more images of its upcoming new 8 Series Coupe, and Auto123.com has put together a photo gallery for you.